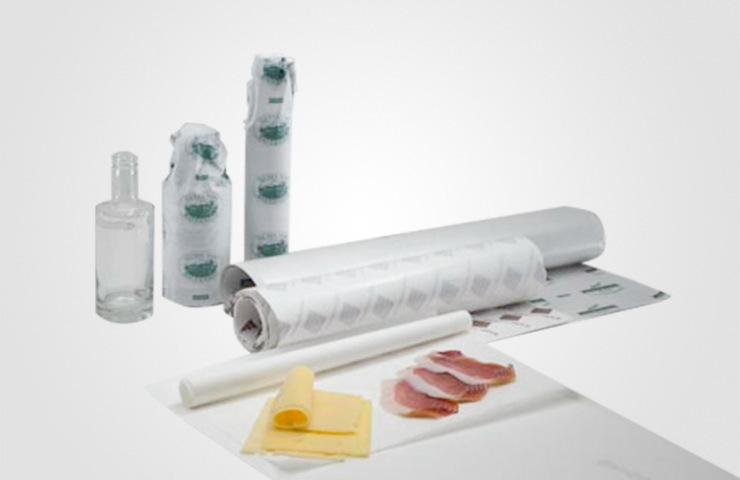 The comprehensive product range of ETIVERA Verpackungstechnik GmbH offers food and delicatessen producers a variety of packaging solutions for their products. 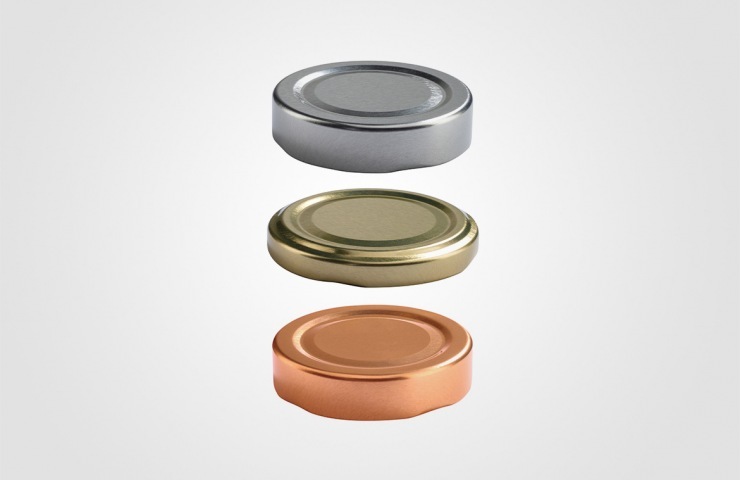 The following product categories provide an overview of the diversity of the range of products. Whatever you are looking for, from proven standard products to special items, with ETIVERA you are just right. 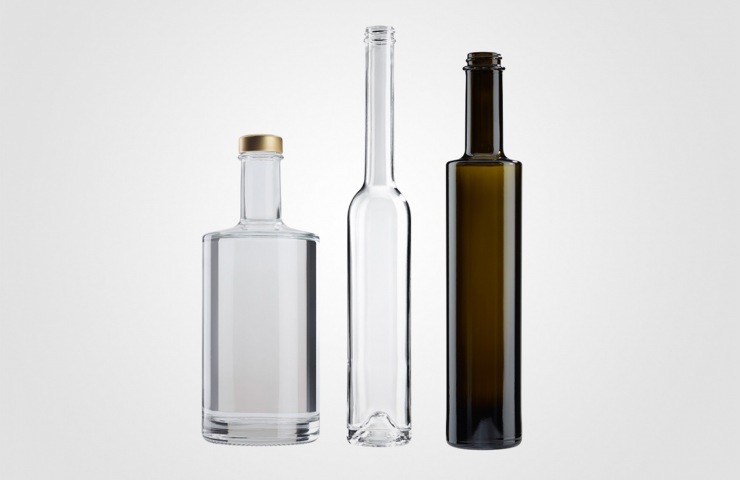 Beverage bottles, liquor bottles and oil bottles. 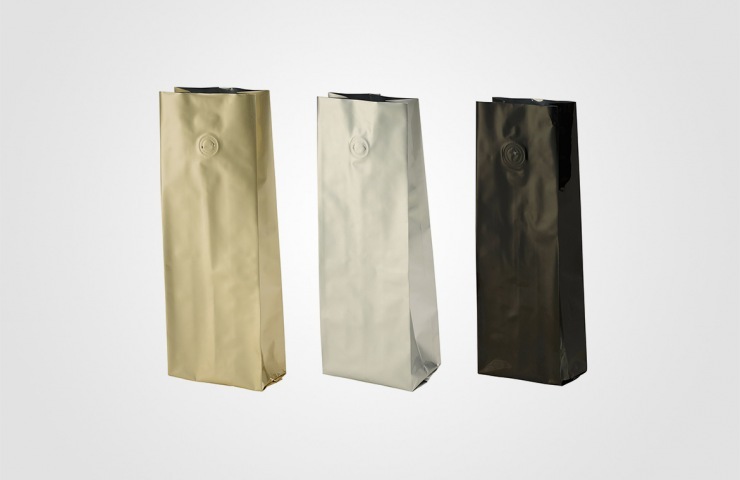 We offer an extensive program of bottles in different colors, shapes and mouths. 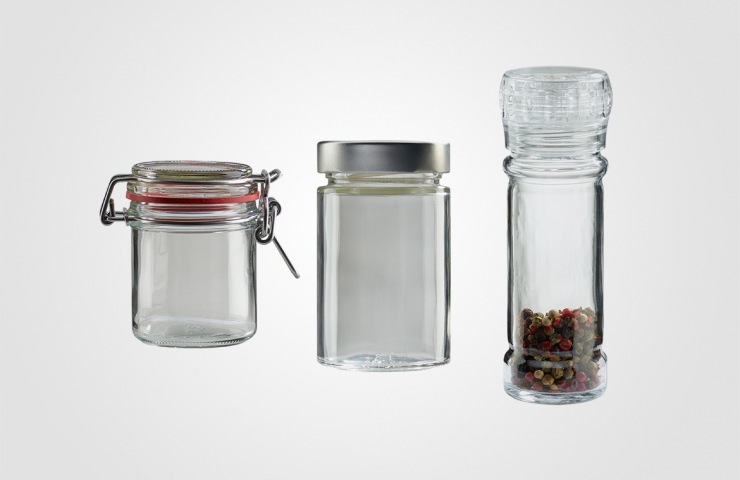 Jars for food in volumes from 30ml to 3400ml in different classic designs to the most modern shapes of the present market. Traditional flip top jars in timeless design. Honey jars with honeycomb pattern, spice jars for stray closures or closures with integrated spice grinder. 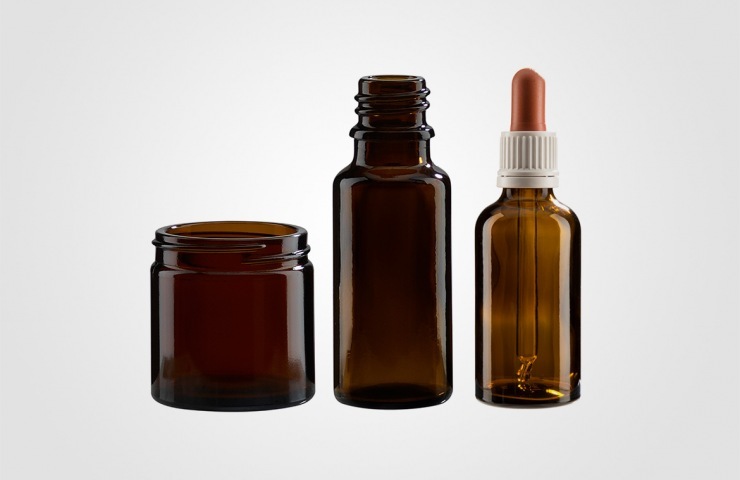 High grade cosmetic jars for salves, ointments and creams of white glass, clear or frosted, with heavy bottom. Or, alternatively, cream jars of UV light protective amber coloured glass. Dropper bottles of amber coloured glass for elixirs and health products. 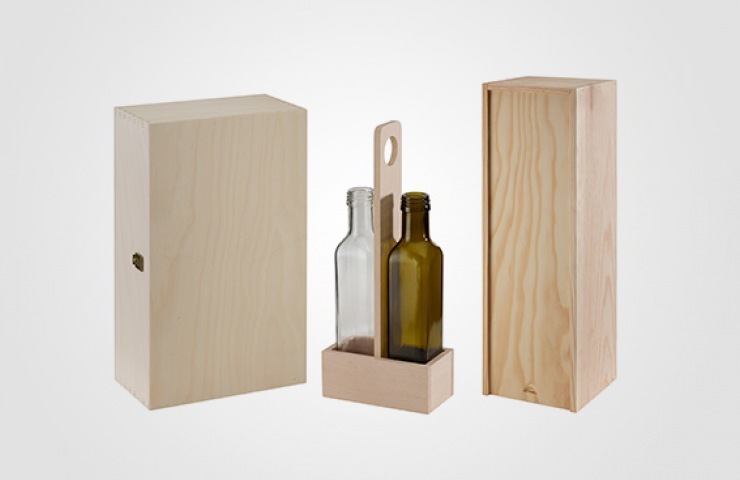 Classic, timeless wooden boxes in 11 sizes with hinged lid, push lid or cover lid. One size also available with black-stained finish. 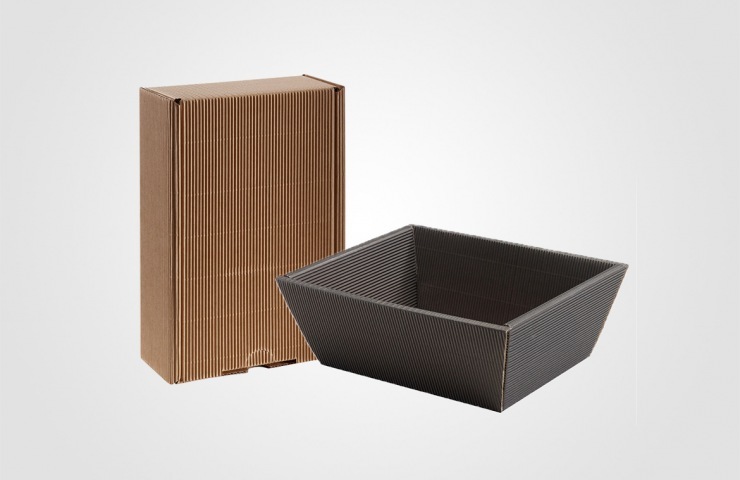 Packaging cardboard boxes specifically designed for certain glass products of our standard program with a perfect fit for each respective item. 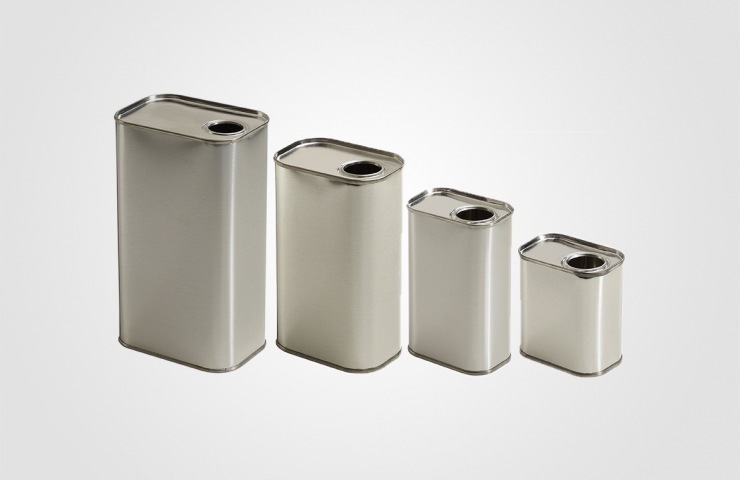 Elegant, cubic tin cans for edible oil made of metal with 0.175l, 0.25l, 0.5l and 1.0l content, inside and outside blank. Alternatively, we also offer a large volume tin can for edible oil with 10l content especially for use in the catering industry. 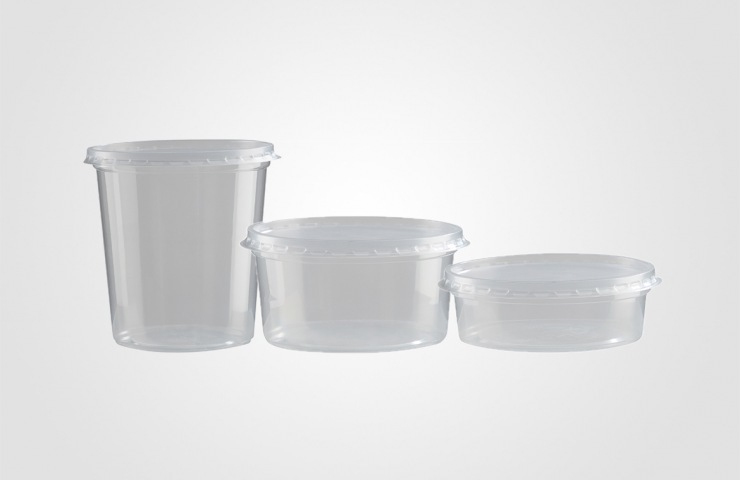 Transparent deli cups in sizes 125ml, 250ml and 500ml with separate lid. One lid size fits to all three deli cup sizes. 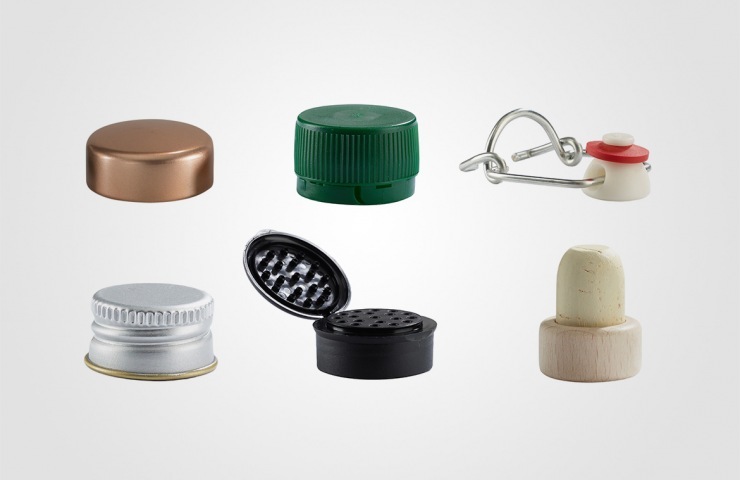 Wooden grip corks with natural cork or plastic underpart, crown caps, swing tops, capsules particularly for oil bottles with pourer inset, modern GPI closures for liquors, closures for spice jars, even with internal spice grinder. 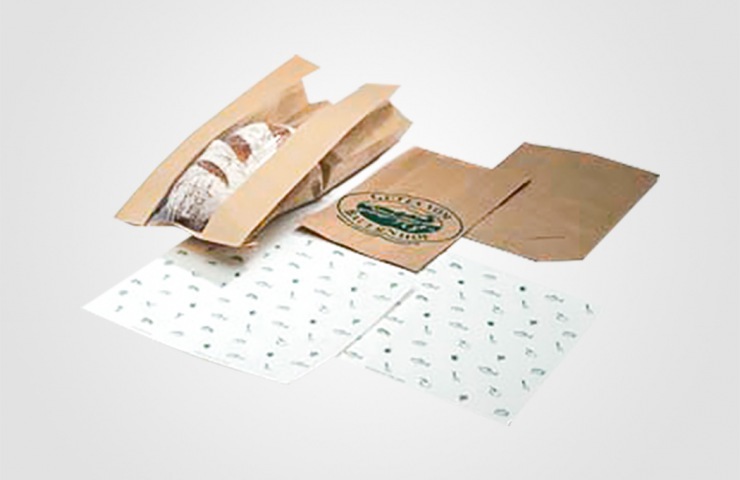 We offer a high quality and reliability product line of single-ply and multi wall paper food bags in different styles and formats. 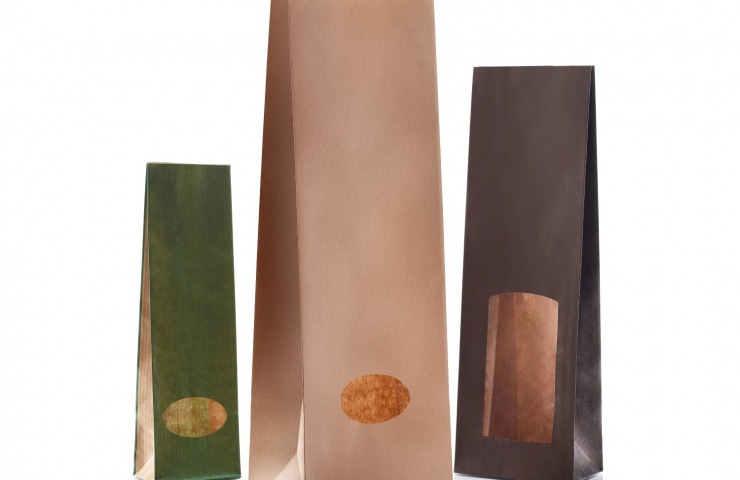 Available in selection of size and weights, neutral or printed with clear see trough window or window exclusive. 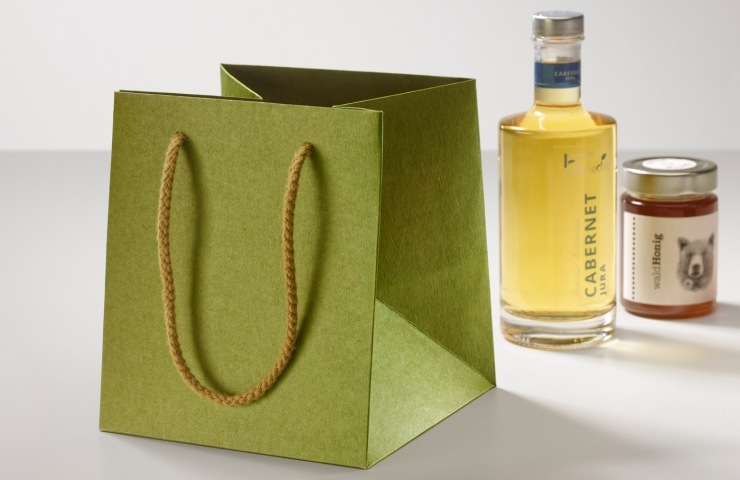 Eco-friendly packaging and a popular option for take home products. 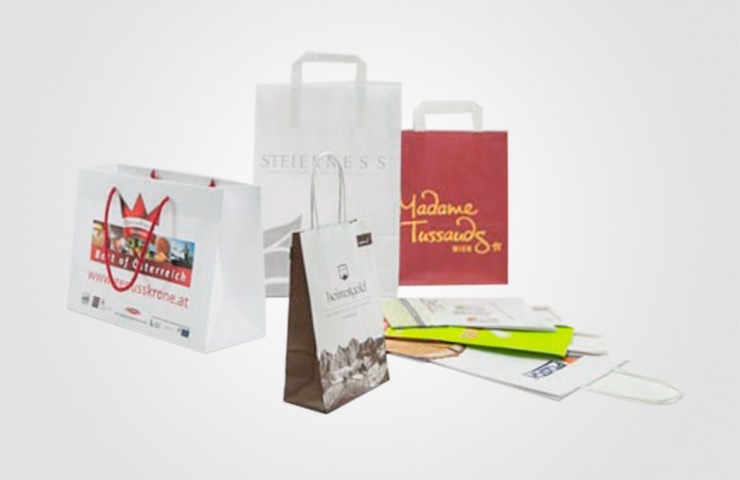 Individual carrier bags with personalised message, graphics or company’s logo. 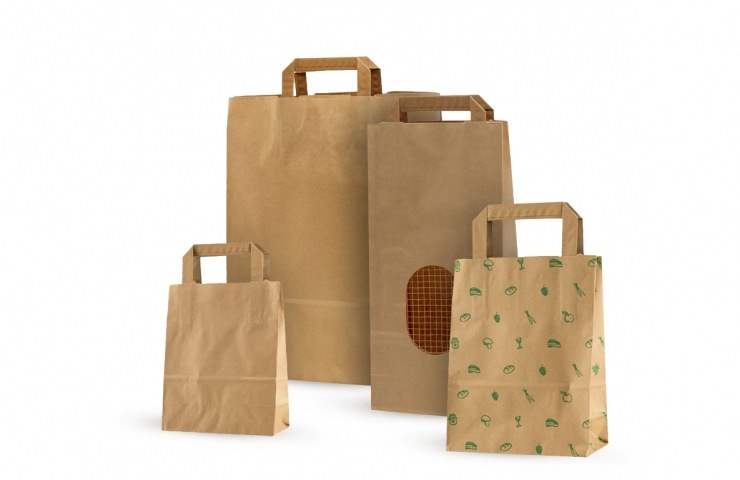 Available in different formats, sizes and colors, with inner lined flat handles or cord handles. 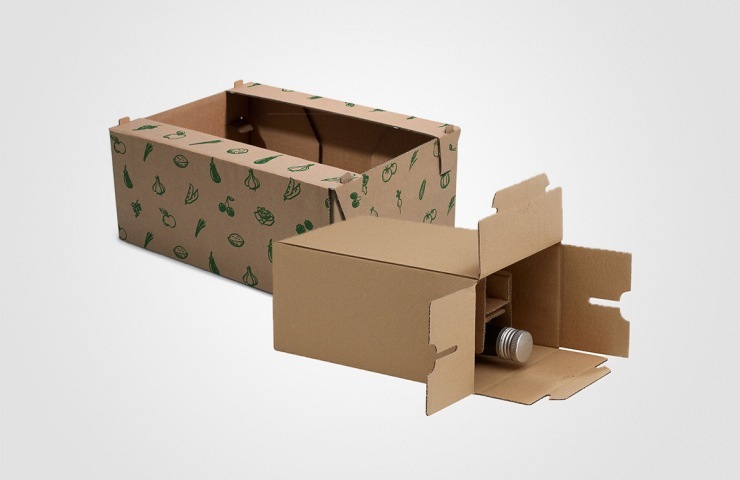 Enviromentally friendly, made with strong brown kraft paper. 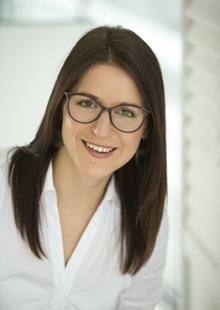 Attractive addition to business or a one-time event.